Netflix has done what it’s been threatening to do for some time and begun ditching its star rating system, in favour of a thumbs up or thumbs down rating. So how does this work? First up, to be clear, the old system didn’t show you star ratings based on overall user opinions. So if you saw five stars for Breaking Bad that was because it was what other similar users had rated it - someone else might have seen it with three stars based on what their similar users rated it. Not that we can actually imagine that show ever getting a rating lower than five stars, of course. So that new thumbs up and thumbs down system won’t change things too much in terms of rating guidance, but it will make rating easier for you. Now you’ll be able to give a simple thumbs up or down. This has been in testing since last year and Netflix says the thumbs system has seen a 200 percent increase in user engagement. That means more ratings which should help refine tailored results even better. All this ultimately means an easier rating system for you and better results on content you will like. Now rather than seeing star ratings you’ll see a percentage of just how well matched that show is to your viewing habits. This all sounds great for finding shows you enjoy although we imagine it could also lead to a ring-fencing that boxes you into a certain type of content. We don’t like the idea of that limiting what you see but knowing Netflix this is all taken into account in those mighty smart algorithms, so who are we to judge? 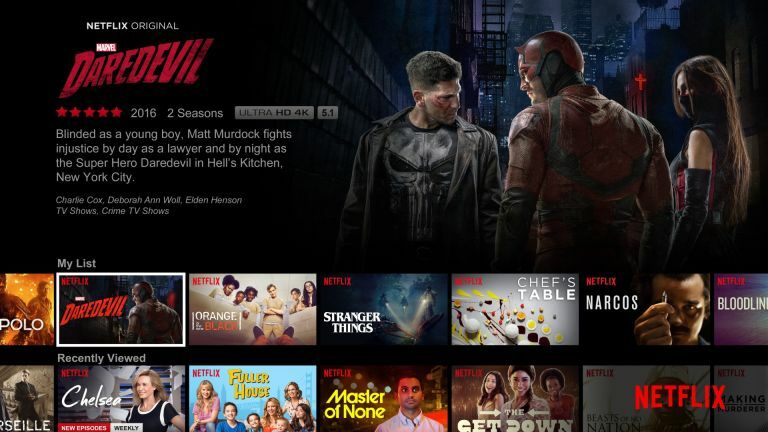 Netflix has begun rolling out the update and it should reach users during the month of April.